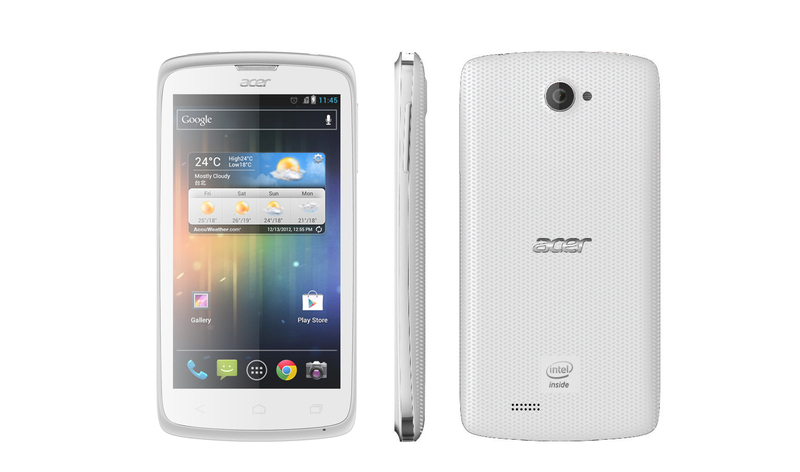 Bangkok: 31 January 2013 – Acer and Intel Corporation today announced the introduction of the Acer Liquid C1 with Intel Inside®, the first smartphone based on Intel® Atom™ processor Z2420for the Asia Pacific region. The Liquid C1 smartphone will first be made available with a special promotion1 during Mobile Expo on 7-11 February, with wider retail availability at a retail price of THB9,990 (VAT inclusive) in the weeks following. 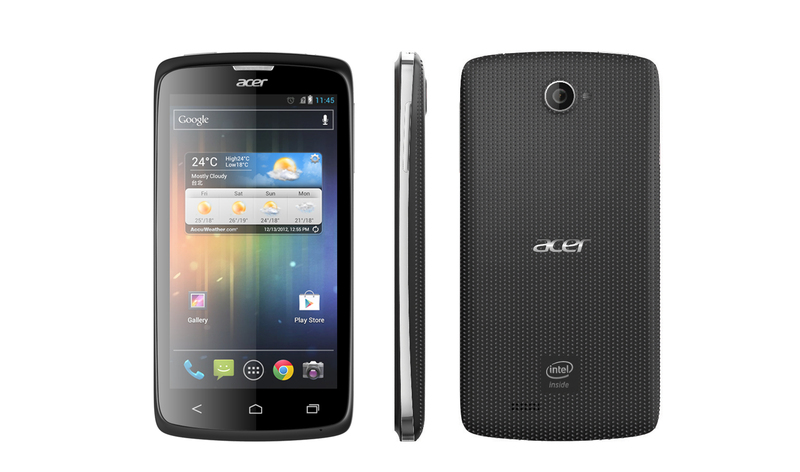 The device comes with a 4.3 inch LCD touch display and great price performance2. Dimensions 127.3 x 65.5 x 9.95 mm. Established in 1976, Acer is an information and communication technology company dedicated to the research, design, marketing, sale and support of innovative products that enhance people’s lives. Acer’s green supply chain delivers environmentally friendly PCs, displays, projectors, servers, tablets and smartphones — tools our customers need to explore beyond limits and experience more. Ranked No. 2 for notebooks globally (Gartner 2011), Acer employs 8,000 people, and 2011 revenues reached US$15.7 billion. Please visit www.acer.com for more information. © 2013 Acer Inc. All rights reserved. Acer and the Acer logo are registered trademarks of Acer Inc. Other trademarks, registered trademarks, and/or service marks, indicated or otherwise, are the property of their respective owners.1 1 GB = 1 billion bytes. Accessible capacity varies. Intel, Intel Atom, Intel Core, Intel Inside, XMM, and the Intel logo are trademarks of Intel Corporation in the United States and other countries. 2 Software and workloads used in performance tests may have been optimized for performance only on Intel microprocessors. Performance tests, such as SYSmark and MobileMark, are measured using specific computer systems, components, software, operations and functions. Any change to any of those factors may cause the results to vary. You should consult other information and performance tests to assist you in fully evaluating your contemplated purchases, including the performance of that product when combined with other products. For more information go to http://www.intel.com/performance. 3 Actual battery life varies by usage, settings and operating conditions. 4 Intel® Hyper Threading Technology is available on select Intel® processors. Requires an Intel® HT Technology-enabled system. Consult your device manufacturer. Performance will vary depending on the specific hardware and software used. For more information including details on which processors support HT Technology, visit http://www.intel.com/info/hyperthreading.